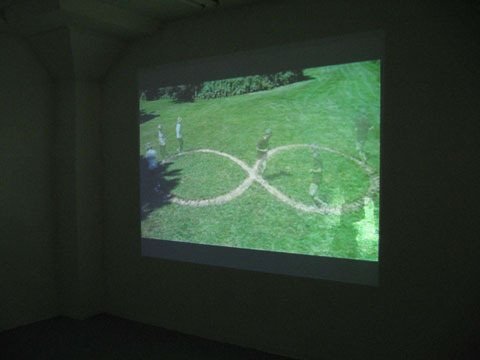 Emergence of 'infinity' -The artists unit Mai Yamashita and Naoto Kobayashi inserted a special ritual into their daily life during their stay at a Swiss. Their new ritual was more ascetic than joyful but their daily jogs worked to inscribe 'infinity' on the land. It seems to be nonsense - however if we reflect we find many rituals without meaning in our own daily lives. Their works make the invisible visible with a touch of humor. They manipulate boring reality and recreate idealistic narratives with simple elements that they have picked up from everday life. 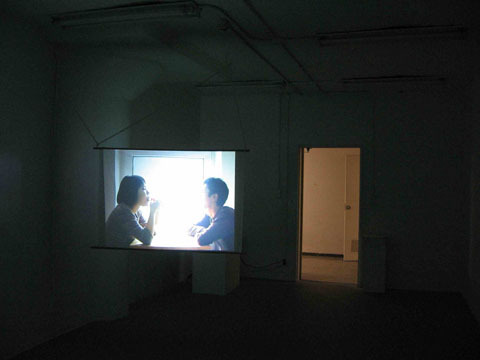 Yamashita and Kobayashi were both born in 1976, and live and work in Berlin. They have exhibited at the KIASMA in Helsinki, the Tate Modern in London, and have participated in the Rotterdam Film Festival and the Transmediale in Berlin. ZAIM FESTA 2007 is an open studio for ZAIM artists and art organizations. From the 23rd March to 1st April there were many events and projects. During that time, 1,800 people visited ZAIM.